In the present era of advanced technology, improvement in the use of android smartphones, android games & apps is highly noticeable. According to the Wikipedia’s report of mobile and tablet operating system browsing statistics on net applications, almost 51% users are using the smartphone based on Android operating system. So, if you are looking for some of the best addicting games for Android then you are at the right place as today we will share the top 10 most addictive games for Android 2017 in this post. When we say the term “addicting games” or “addictive games“, it means all those games we can’t live without. These are some of the best free addicting games of 2017 that have exploded beyond popularity among just the tech crowd. 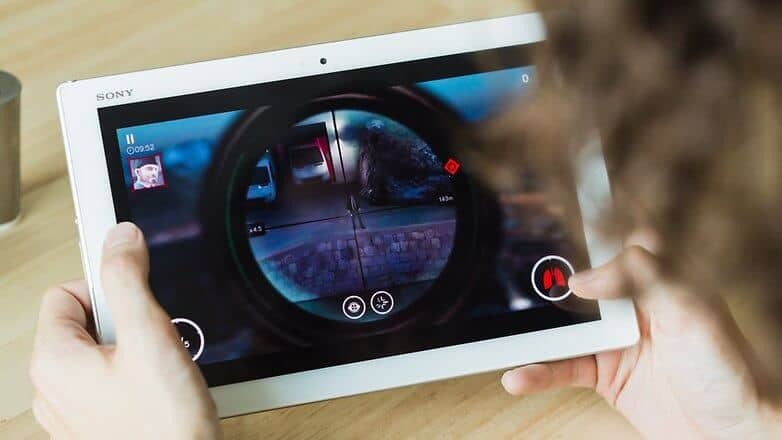 Even, you can easily imagine about the popularity and addiction of these best free android games by seeing them during your daily routine (on the TV shows, newspaper, clothes , and all over the internet). 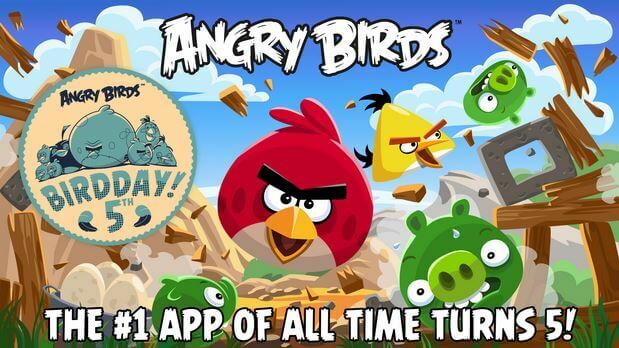 Defeat all the piggies in one of the best addicting games for Android with Angry Birds. The game is developed by Rovio and has many other versions too. The pigs have stolen eggs of the birds which have made all the birds angry. Become part of the Physics based puzzle game and defeat the piggies and save the eggs in Angry birds. In each level player has a limited number of moves so you need to make sure that you are able to clear each level with the limited moves. The next game is Cut the Rope. What makes Cut the Rope one of the addicting games is the amazing interface and cool graphics. Meet a cute little monster who is hungry for candies. Feed him all the candies you can by solving the puzzles in cut the rope. Doodle Jump comes belongs to the category of arcade games and makes to the free addicting games section. You have to tap on the screen to cover the maximum distance. It is not easy to play this game and this is one of the reasons that Doodle Jump is one of the most addicting games on android device. Once you start playing this game, it will be difficult for you to keep your hands off it. Have you ever tried to slice the fruits in the air at your home? We are sure, you are going to get a slap from your mom if you are going to do that. Slice all the fruits you can in Fruit ninja. Fruit Ninja is one of those free addicting games which are totally compatible with all the Android smartphones and tablets. This is the sixth game which makes to our list of most addictive games for Android. The battle is between Zombies and Plants with Plants vs Zombies. Zombies are trying to eat the plants and plunder your garden. Your aim is to stop them from destroying your garden in Plants vs zombies. Surf on the trains with Subway Surfers. The only aim of you as the player in this game is to cover the maximum distance possible. Collect coins while running and make sure you don’t get caught by the police and his dog that are chasing you. The endless running feature of this game makes it one of the most addicting games for Android device. Temple Run is another endless runner and most addictive games which you will find on Google Play store. You are being chased by the evil monkeys as you have stolen their idol. Try to run as fast as you can and make sure you don’t get slowed down by the obstacles which come in your way. Even, you can easily download and install Temple Run on your Windows PC too. Tetris has been available from decades. The game was available on old consoles and is now finally available for Android smartphones and tablets and comes from the category of most addicting games for Android. Word with Friends helps you in sharpening your brain skills. 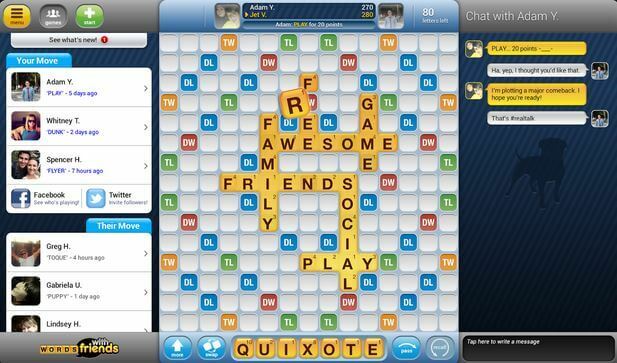 This is one of the certain reasons that Word With friends is most addictive games for Android phones and tablets users. You can play the game with your friends and challenge them. Win the game and brag about it on Facebook. These are the top 10 most addictive games for Android 2017. If you really find the above-explained list of most addicting games for android smartphones or tablets useful for you then share your view with us through the comment section. We would love to know – which android games are you playing all day long on your Android smartphone or tablet? And, what are some of the most addictive android games or most addicting games for android device which you have left to play?